As smoke can travel lightly and quickly through a building, smoke damage can be found in areas well away from the blaze. As a result, even a small fire can cause a significant amount of smoke damage which may take time to uncover. Smoke damage ranges from the obvious to the nearly imperceptible, and damage can be simply cosmetic or a sign of more serious issues. 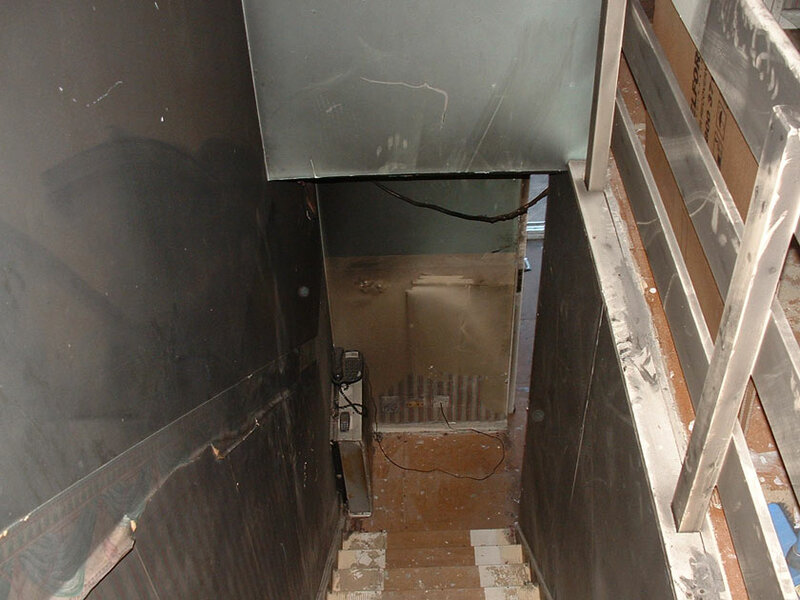 Our Domestic Fire & Smoke Damage Restoration Experts can help. Read on to find out more. The easiest and most obvious way to spot smoke damage is to notice blackened or soot-streaked areas. Smoke is made up of fine particles of burned matter, which is why it is black, and can often be greasy, strong smelling or otherwise unpleasant. You’ll often see soot marks, either as black streaks or yellowing, on paint or wallpaper, particularly on ceilings and walls near where the fire burned. Hot air rises, so you may find that soot particles from, for example, a kitchen fire, have travelled through the house and up the stairs, leaving a trail through the house. This is particularly likely if an open window has created a current of air. As the air cools, soot falls out of the air, landing as a fine black dust over all surfaces. This may be difficult to notice until you touch it, but be aware that it can be greasy and will often stain fabrics, particularly if it gets wet. 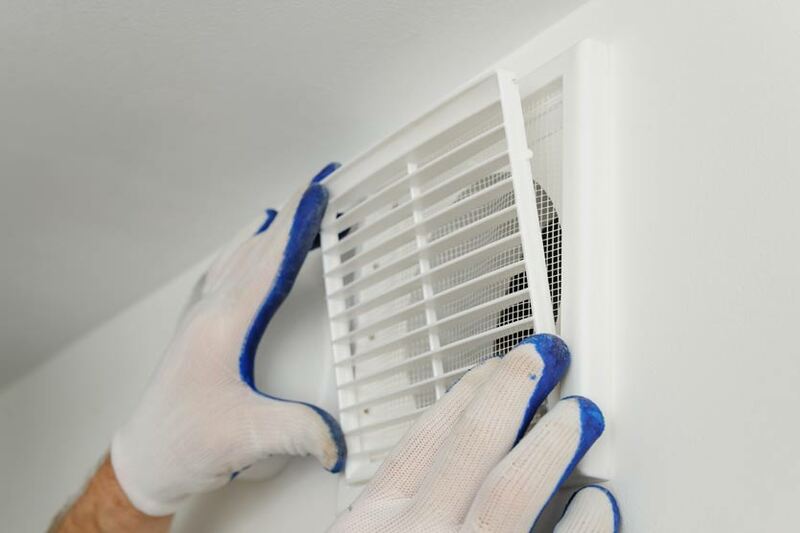 The currents of air may carry larger particles of soot and burned scraps of paper or other similar elements along with the smoke, so you may find ash and mess throughout the property. If this is the case, our smoke cleaning services are available. Now that fires are no longer necessary to heat our homes, many people expect a fire to have the pleasant odour of woodsmoke. Unfortunately, when other materials smoulder or combust they can release toxic gases and a wide range of unpleasant smells. For this reason, if you can smell an unpleasant or burnt odour in a room, particularly if it has been shut up since the fire, this should be investigated and treated for smoke damage. Air ducts and ventilation systems are particularly vulnerable to smoke damage as the smoke can enter the system even if it isn’t running. At a minimum, you should replace all filters and get the system checked over to ensure that it is safe to use. The first step should be to air the room out thoroughly as burning, particularly of plastics, can release harmful gases which can linger in the air. If at all possible, you should air the house as soon as the fire is out (do not open windows while the fire is burning – this will fuel the fire) as this will release the smoke and reduce the damage. Once the room has been aired, cleaning with vingar, baking soda (do not use these two together) or activated charcoal can help remove the smell from a room. Air fresheners can be used, but remember that these will only mask the smell, not remove it. Finding the source of the trapped smell and cleaning it is usually the best solution. Fabrics are the most likely culprits, particularly curtains and pelmets. When it comes to cleaning soot off, don’t assume it’ll brush away like charcoal. If at all possible, it’s best to use specialist cleaning services to remove soot from delicate materials – this can include dry cleaning for curtains and other fabrics, although be sure to tell your dry cleaner what you’re dealing with. Steam cleaning can be effective for carpets and upholstery, although it is important to do a test patch to ensure that your process will clean without damaging. The extent of the damage and the type of wall covering will dictate how you clean soot-streaked walls and ceilings. If you’re very lucky, the smoke will limit itself to tiling, as this can be easily wiped clean. This is unlikely though. It’s best to be cautious when trying to clean soot off wallpaper or paint as it can easily be ground-in by mistake and all too often cleaning efforts simply cause additional damage. In many cases, it’s simplest and most effective to accept that you will have to redecorate, which may mean scrubbing down the wall and repainting or repapering. Depending on the scale of the damage you may only need to do patch work – for example, the ceiling may be badly affected while the walls appear untouched. Do check carefully for smoke damage as it may only be noticeable by a yellowing of the paper or paint. A vacuum cleaner is a surprisingly good tool to use to deal with smoke damage. With the right head attachment, it can be used on upholstery, curtains, clothes and even walls. It will help remove particulates and dust. As soot can react with water and create further stains, it’s best to remove as much sooty dust as possible using dry methods before cleaning with water. Beat cushions and bedding outside, vacuum thoroughly and then get out the mop. Soot is typically acidic and can cause metal to corrode over a long period. Precious or valuable items, such as jewellery and clocks, should be handled by an expert but for ordinary pieces, such as cookware, you may simply need to clean the item thoroughly in the usual way and perhaps treat with oil. If you need more information about smoke restoration or help after smoke damage in your home or business, get in touch with us today on 02392 009270 or enquiries@cornerstone-ltd.co.uk. How to prepare for a flood – what’s your risk level? Every year, homes and businesses across the UK are at risk from flooding and hundreds or thousands of people find themselves in crisis as water inundates their property. Flooding occurs from 2 main sources: rivers and the sea. However, heavy rain can cause surface flooding and a burst pipe can also mimic flooding, creating very similar chaos and damage. This means that even if you are near the coast or a river, it’s worth undertaking basic preparations to protect your home or business. We also provide a flood damage restoration service. Read on for more information. Before deciding how much to invest in flood preparation, you need to know whether your property is at risk and from what source. The government provides information at 3 levels: areas currently at risk; predictions of future risk; and historic flood data. The sites listed below will let you assess your risk in all 3 categories. Flood preparation can seem daunting and expensive. However, by taking simple actions in a number of areas you can reduce the risk to your, your family or employees, and to your property without spending a fortune. As each home and business is different, we recommend you make a detailed plan of which actions will most benefit your circumstances and begin preparations accordingly. Many flood preparation actions will also provide benefits in other emergencies. For example, creating an off-site back up of key databases will not only protect a business during flood, fire and other damage to the site, but may also let employees work from home during a site-wide power outage or other ordinary disasters. Likewise, for a family, keeping important documents in a single grab-and-go bag will help you evacuate quickly and easily in case of flooding, and will also make filling in forms easier on a day-to-day basis. Below we’ve outlined a few areas to consider when making your flood preparations. There are, of course, many other steps you could take but we hope that the outline below will provide inspiration and encourage you to take at least a few simple, easy, free or cheap steps that will protect you, your family and your business in case of flood or another disaster. If you are wondering where to start, your local emergency services or local council may have recommendations on their website. Even shallow floods can be a significant risk to health and safety as they hide hazards and can carry disease, toxic chemicals and faecal matter. Preparing your family or business with basic safety information can be the most important step you take. 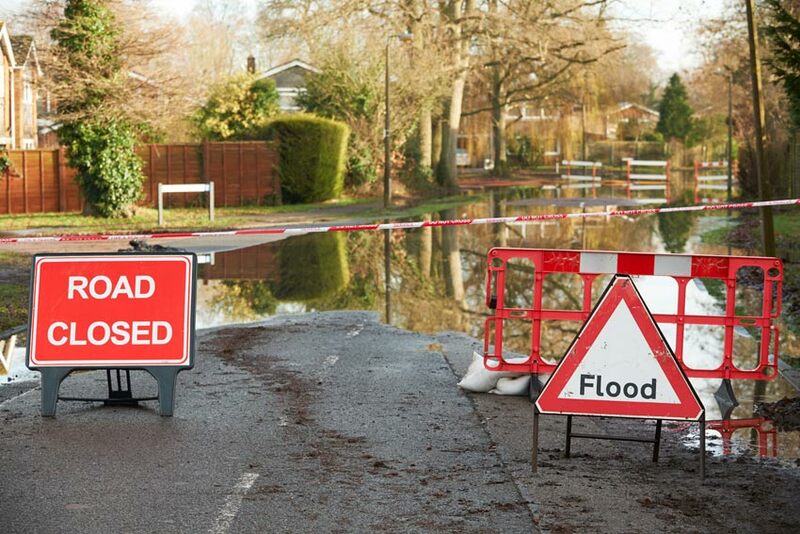 Encourage those in at-risk areas to register for flood warning alerts using the links above and to stay well away from flooded areas, including not walking, driving or cycling through floods. For families, making it easy to pack a few changes of clothes, grab your important documentation, medication, pets and kids, tends to be the primary focus of evacuation planning. However, it’s also useful to have an idea of somewhere you can go (a friend, relative or hotel) and a way to pay for this (cash, credit card only used in emergencies, etc). Businesses will also find a line of credit useful in an emergency and will have to prepare for potentially evacuating customers as well as staff. During your preparations, please also consider friends and neighbours who may be unable to evacuate without help – the friend who doesn’t drive, the elderly neighbour who lives alone. Structural changes can be expensive, so it can be worth making larger changes such as alterations to ventilation systems or moving computer equipment out of the basement as part of the planned renewal. However, there are plenty of steps you can take before it comes to putting sandbags at your door to putting family heirlooms in the attic. Examples include routinely storing dangerous, valuable or fragile items above floor level (ideally not on the ground floor or in the basement) and creating duplicates or backups of particularly critical documents or systems. This can be as simple as photocopying all the documentation for your mortgage, car, passport and so on and leaving it with your bank or a trusted relative. Should a flood occur, simple steps like turning the gas, water and electricity off at the mains can reduce the risk to emergency rescue workers and others. If your home or business has unusual hazards, for example, if your business uses toxic chemicals, then many local emergency services will be pleased to add this information to a register, so they can warn their teams if they need to respond to a flood, fire or other problem at your address. You may also want to create warning signs or a reinforced area to safeguard problematic items, e.g. prevent chemicals entering floodwaters. Ensuring you have appropriate insurance coverage is an excellent place to start as it will certainly make repairs easier and a line of credit or emergency savings account will also help both during and after a flood or other disaster. Other preparations will depend on your circumstances but in most circumstances, writing down a plan of actions to take on your return (such as instructions for dealing with particular items) and information you need (such as insurance policy numbers and contact information, and perhaps the name and number of a cleaning company) will make the process smoother. If you need any more advice or help after a flood, get in touch with our friendly team today on 02392009270 or enquiries@cornerstone-ltd.co.uk. Condensation can seem inevitable and harmless but neither of these things are true. 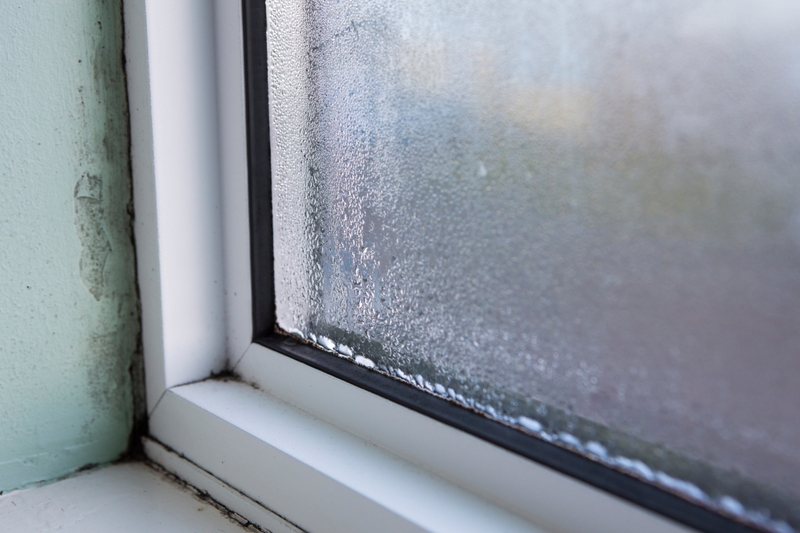 If allowed to build up, condensation can encourage mould growth – with all its attendant health risks; cause wood and other building materials to rot; and damage items made of delicate materials such as paper and fabric. 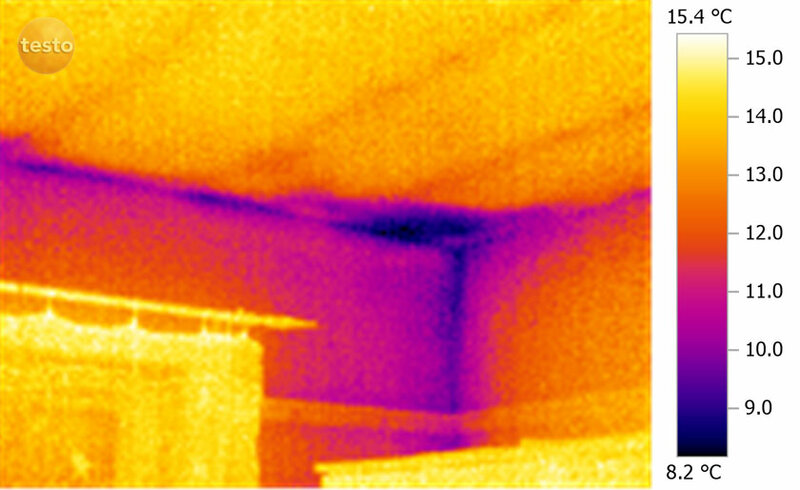 Fortunately, even if your building is prone to condensation, it’s easy to manage by following 3 simple steps: reduce, ventilate and observe.